Get the Future President in your life a gift they will enjoy for hours on end. At the White House Gift Shop we have a wide range of toys that youngsters will love including Secret Service vehicles, military toys, and games for all ages. Our vehicle toys are especially popular with children. 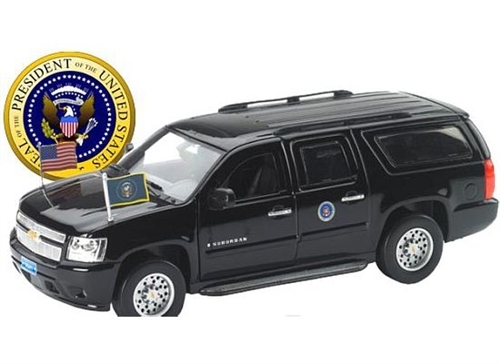 An entire Presidential trip can be recreated using our toys, from leaving a model White House, to getting to Air Force One in a Presidential Limousine. The International Airport play set is a great collection for little ones who are fascinated with planes and have aspirations of becoming pilots one day. We carry a number of crossword puzzle books that are an educational alternative to playing videogames or watching movies on long trips. Browse our selection of challenging crossword puzzle books that will entertain and engage the whole family in American History. By permanent memorandum of President Harry S. Truman, the White House Flower Fund became the White House Security Fund which soon, thereafter, became the White House Gift Shop. Once located in the basement of the White House, for security reasons we are online now, solely at this site, for your convenience and accessibility.